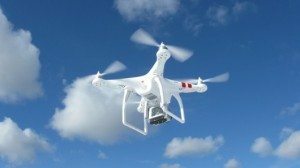 Human vs. Drone Surveillance: Fit for Private Investigators? Drones are all over the news these days. They can even be found shooting selfie videos as they deliver pizza. Surveillance drones are quite another matter, however. These strong and silent types are watching us from a discrete distance, like the Navy’s newly developed Triton drones. These are in operation now and within four years, Tritons are scheduled to begin conducting continuous and comprehensive surveillance of the world’s oceans, with each one covering 2 million nautical miles per day. We’ve come a long way from the days when surveillance meant a couple of guys in a parked car with a pair of binoculars and 4,000 cigarettes. Whether or not this is progress is a question that is ripe for public discussion. Welcome to the age of personal surveillance drones. Everyone can now have their own cameras mounted on remote-controlled eye in the sky for the about price of a high end computer. Add a good camera and some stabilizing apparatus (gimbal) you can get up to 15 or 20 thousand dollars. The S800 Evo from DJI, evocatively named like an early Terminator prototype, projects a paramilitary aesthetic with six black, arthropodic arms supporting rotors and announces itself as the latest advance in aerial photography. Onboard software for the camera offers Vibration Absorbers for clearer identification of subjects. A less menacing alternative is the friendly white and bulbous quadcopter, the DJI Phantom, priced more modestly. Like the Evo, it has a proficiency at hovering which, along with the right camera attached and night-vision mods, makes it ideal for finding out what the neighbors are up to. If only Gladys Kravitz could have had one of these. These models link with satellites, and sport both a high tech internal gyro and compass systems to keep them level, stable and doing exactly what you tell them to. They can even fly their own way home if you decide to flip a switch. 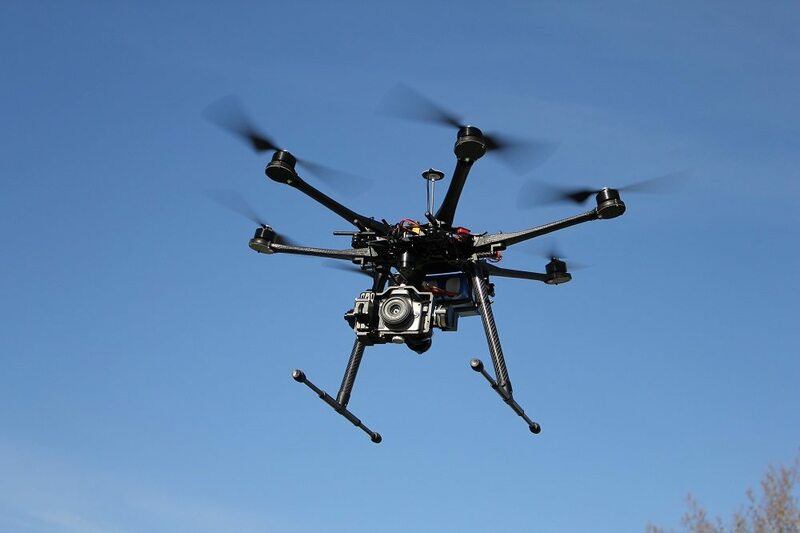 For human investigators such as storm chasers, HazMat scientists and firefighters, these types of drones are radically extending the range of low-casualty vision. In practice, however, this is precisely the kind of technology that quickly finds applications far beyond the range of public interest. The word “surveillance,” French for “watch from above,” first appeared during the Reign of Terror following the French Revolution. Amid the chaos that ruled the streets, people sought an authority that could restore order and stop the mass executions carried out by rival political factions. Since then, the word has taken on more of a military and espionage feel about it, with an implication of enhanced sight rather than oversight. Today, the Department of Defense defines surveillance as “the systematic observation of aerospace, surface, or subsurface areas, places, persons, or things, by visual, aural, electronic, photographic, or other means.” In other words, just watching by any means necessary. In practice, the collection of environmental metadata for logistical support turns into surveillance the minute the subject becomes people. People are wholly unpredictable and rarely act in their own interest, if you ask a computer. That’s why drone surveillance and surveillance software are great at collecting data; however, they are so often confounded at trying to interpret it. It’s not just a matter of throwing more processors at the problem of recognizing the multifaceted geometry of human faces. The subtle nuances of human behavior are often lost on our robotic counterparts, who are unable, among other things, to understand humor and play, as articulated elegantly by Douglas Hofstadter in Gödel, Escher, Bach more than three decades ago. One result of persistent surveillance by drones could well be that people will become more rigid, in effect losing some of that humor and playfulness, in an effort to avoid undue attention. Drones and autonomous surveillance are best at recognizing large scale patterns and sorting through terabytes of data to make logistical systems more efficient. However, in terms of studying or interpreting individual human behavior, we will very likely always need a ghost in the machine. In the interests of safety, protecting property from vandalism or even just cool aerial video, the ubiquity of remote controlled cameras is undeniably growing in influence and availability. Miniaturization and the Internet of Things are converging to create an environment where everything can be recorded and analyzed later. What does history suggest about that world? The chilling effect of human surveillance on society is well documented, especially in the case of the East Germany’s infamous Stasi, which is explored in the Oscar-winning German film from Florian Henckel von Donnersmarck, The Lives of Others. Those who frame the current debate in terms of security vs. privacy promote drone surveillance as a way to eliminate privacy concerns because no human looks at the data unless a red flag is raised. Even proponents, however, admit that surveillance, drone or human, is a stop gap measure in preventing wide scale crime and violence.